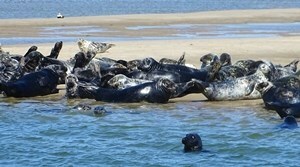 The historic, elegant island of Nantucket offers lots of diversions during a day trip from your Cape Cod rental. For nearly 100 years – from the mid-1700s to the late 1830s – Nantucket was the whaling capital of the world, with as many as 150 ships making port in Nantucket during its peak. Much of its character today was shaped by the whaling industry and the fortunes of the whaling captains, including the cobblestone streets, gas street lamps, and impressive 18th century sea captains’ mansions and homes with their widows’ walks. You can fly or take the ferry from Hyannis to Nantucket. Both the Steamship Authority and Hy-Line Cruises have a regular (a little over 2 hours) and a fast (about one hour) ferry. A high-speed ferry from Saquatucket Harbor in Harwich Port via Freedom Cruise Lines takes just over an hour. Don’t worry about bringing your car as the island has a very good shuttle bus service. If you arrive by ferry, you’ll step ashore onto either Steamboat or Straight Wharf in the heart of Nantucket town. Spectacular mega yachts sit in the harbor, and quaint fishing shacks, now high end shops, line the wharves. Close to the wharves is the Nantucket Whaling Museum, housed in a building dating back to the mid 1800s and totally restored in 2005. Suspended from the ceiling is the complete skeleton of a 46-foot bull sperm whale that washed ashore on New Year's Day in 1998. The museum also houses a large collection of whaling artifacts and memorabilia, including longboats, harpoons, and scrimshaw. After a visit to the whaling museum, make your way to Nantucket Town’s Main Street a few blocks away to browse through the exclusive shops and galleries. Be prepared for sticker shock, though, for Nantucket shopping is not for the faint of wallet. However, you will find many one-of-a-kind items, such as the Nantucket lightship basket. Still hand crafted on the island, this basket has long been recognized as one of America's most unique folk art treasures. The Nantucket Lightship Basket Museum is worth a visit. 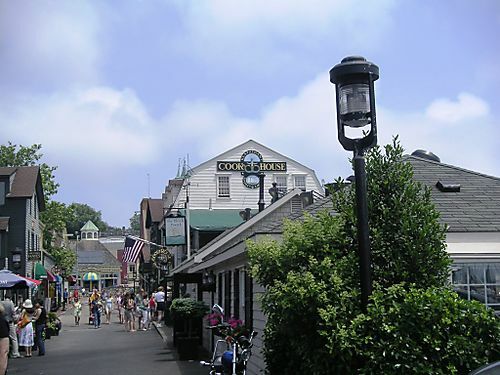 More shopping, along with waterfront dining, can be found along Nantucket’s wharves. Having fallen into disuse in the depression following the demise of Nantucket’s whaling industry, Nantucket's wharves and cottages sat empty and derelict. Today they are home to art galleries, crafts and jewelry shops, and restaurants and are a must see when visiting the island. The architecture has been maintained, and many of the buildings are original. Along Nantucket town’s residential streets are the stately Georgian, Federal, and Greek Revival sea captains’ homes along with charming antique cottages, often with hydrangea and rose bushes in full bloom. 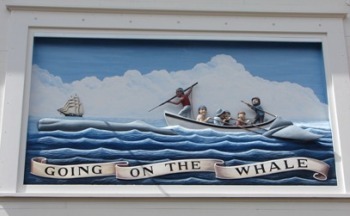 Guided walking tours can be arranged at the Whaling Museum as well as at the Nantucket Preservation Trust at 55 Main Street. Some homes are open to the public for a fee. Be sure to visit our Vacation Planner for more ideas or to check out restaurant menus or directions to many shops and galleries. After enjoying lunch, you’ll want to explore more of the island. 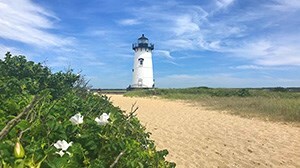 Nantucket Regional Transit Authority offers several shuttle routes for access to beaches and scenic areas of the island. A one-day pass is just $7.00. 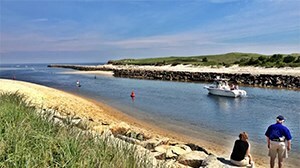 One of the more popular routes goes to Siasconset (pronounced “sconset”), a quaint, picturesque town on the eastern shore of the island known for its cottages covered in rose-filled trellises and glimpses of the ocean as a backdrop. There are also several small shops and restaurants and a beautiful stretch of beach. A stop at Sankaty Head Golf Course will enable you to tour Sankaty Light, which was built on a 90-foot bluff in 1850. In 2007, it was repositioned 250 feet away from the eroding shore to near the 5th hole of the golf course. 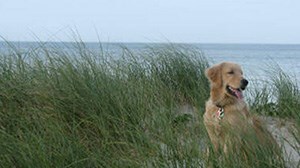 The shuttle has routes to most of Nantucket’s beaches. If your goal is to just hit the beach, take the shuttle to Jetties Beach ($1) or Surfside Beach ($2). If you’d like to see more of the island and points of interest, the Madaket Route to Madaket Beach or Miacomet Route to Surfside beach are good choices. Note there is a one-mile walk or bike ride from the shuttle stop to Surfside beach, but the shuttles are equipped to carry a limited number of bikes on a first come, first served basis. Lastly, the Mid Island Loop route will take you to shops, restaurants, and other points of interest in Nantucket Town’s mid island areas. 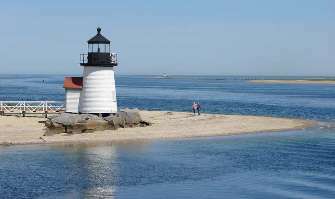 Leave time before you board the ferry back to the mainland to visit Brant Point Light, a short walk from the wharf. This is the country’s second oldest light, and the grounds include an 1856 keeper's house and two range light towers. With any luck, you’ll enjoy a beautiful Nantucket Sound sunset on your return trip to Hyannis, capping off an idyllic island day.